Annual Turnover2007-08 Rs. 500-1000 Crore Approx. 2008-09 Rs. 100-500 Crore Approx. 2009-10 Rs. 100-500 Crore Approx. Operating in the industry for the past 30 years, we have been engaged in offering Brass Rods, Brass Wires, Brass Ingot, Brass Sections, Brass Profiles, Gun Metal Ingots, Gun Metal Ingots Billets, Brass Brazing Wire, Aluminium Bronze Rods, Naval Brass Rods, Electrical Brass Parts, Automobile Brass Parts and Mechanical Brass Part. 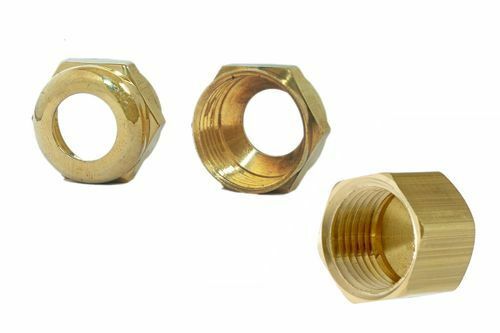 Designed in line with international quality standards, these find wide application in architectural fittings, marine hardware, defense special components, industrial valves and propeller shaft. Our laboratory approved by SQAE (AR), Mumbai is equipped with various testing facilities and equipment such as spectrometers (spark as well as ERF X-Ray Fluorescence), electronic and computerized UTM and microscopy with photography, that ensure the best product is delivered at clients end. To meet the growing demands of our clients we have an installed production capacity of 10000 Ton per annum. Our ethical business practices and quality conscious approach complement us garnering wide appreciation from our clients spread in Asian Countries. We are certified by Govt. of India Ministry Defense, Material Organization Mumbai, Visakhapatnam, Khambhalia, Hindustan Shipyard Ltd., Visakhapatnam and Naval Dockyard, Mumbai.